Hung Curd is an ingredient for lot of recipes. We can easily prepare it at home and will have more special feel if we use homemade itself. I will post a good number of recipes made with Homemade Hung Curd, so stay tuned. Click HERE to view Homemade Basics. 1. Take a wide bowl and keep juice strainer over the bowl. 2. Place one cotton cloth over the strainer. 3. 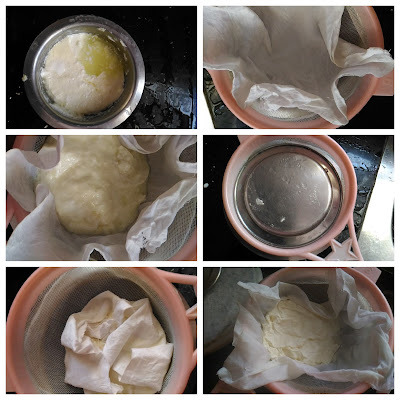 Pour the curd on the cloth and cover the curd using the cloth. 4. Close this covered curd with plate. 5. Now keep this bowl in a refrigerator for 5-6 hrs or overnight. 6. Now you can get a thick cheese like curd. 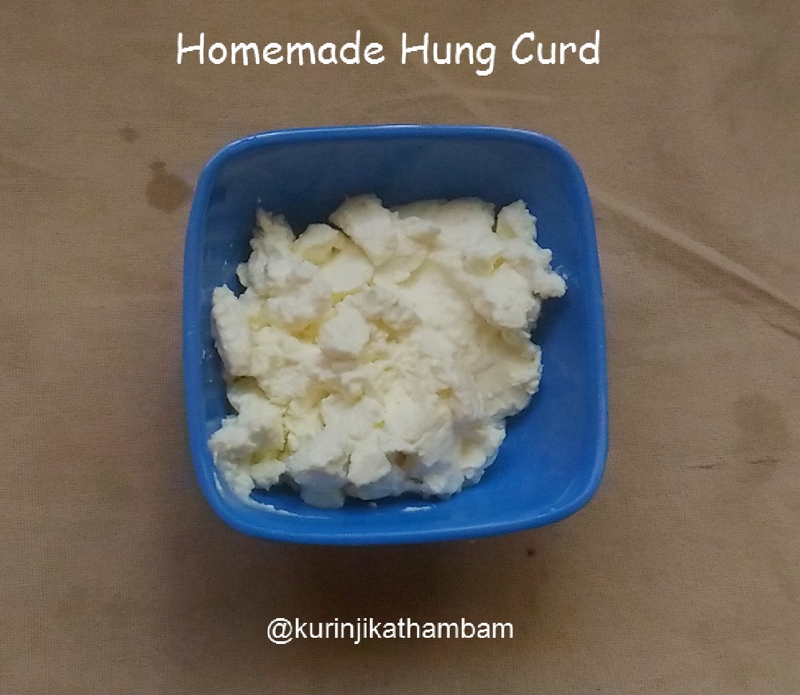 Homemade hung curd is ready to use.